In the beginning of its career, Swedish power metal sextet Sabaton was considered the next big thing in the metal scene. Nowadays, the band has become a synonym for predictable repetition appealing only to occasional metal fans during the festival season. One has to wonder at what point the band reached its turning point. In hindsight, this climax is obviously the moment when the two guitarists, the keyboarder and the drummer simultaneously left the band that was then painfully reconstructed by the remaining bassist and singer. The last record released by the classic line-up was Carolus Rex, marking both the band's greatest hour and its last peak so far. The record is a conceptual record based on the rise and fall of the Swedish Empire and its monarch Charles XII, also known as Carolus Rex. It's obvious that the band invested a lot of time, passion and creativity into this release. The ten songs deal with different historical events such as battles, crownings and deaths. The album was released with English and Swedish lyrics. The two versions aren't simple translations of each other but rather offer a few precise lyrical changes. The Swedish vocals feels even more heartfelt and certainly sound more unique than the international version. 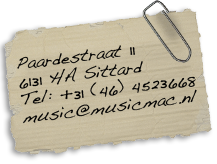 All songs find a dynamic balance between epic soundscapes and gripping melodies in concise song writing. The middle section is certainly the centrepiece of the record. Highlights are the epic, melancholic and sacral mid-paced ''The Carolean's Prayer'' and the elegant, majestic and uplifting title song ''Carolus Rex''. 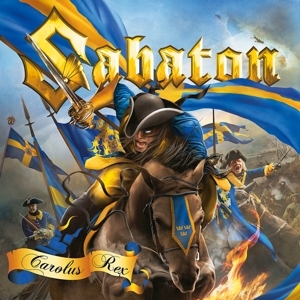 To celebrate its quadruple platinum status after remaining on the Swedish chart for a whopping three hundred twenty-six weeks, Sabaton commemorated its opus magnum with a new release including both the English and Swedish version of the record as well as four bonus tracks in form of the powerful heavy metal anthem ''Harley from Hell'' and three solid but unessential cover songs. If you haven't purchased this epic power metal masterpiece yet, you should certainly get your hands on this new commemorative edition.